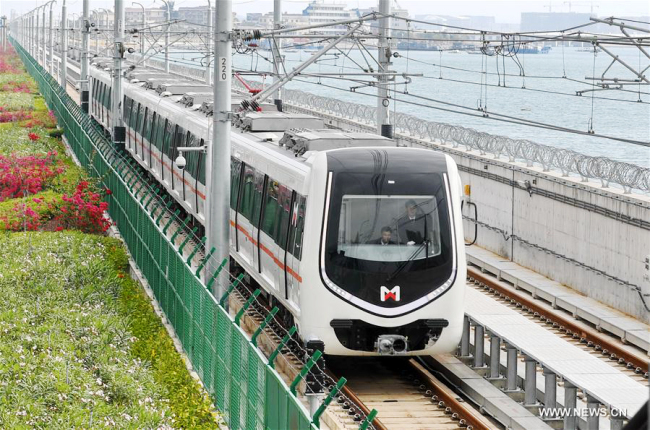 China's first subway line with a sea view, Xiamen Subway line 1, has opened to the public on the last day of the year. The 30.3-kilometer subway line links the northern Jimei District to the southern downtown area, which is located near the UNESCO World Heritage listed Gulangyu Island. It takes about 50 minutes to pass through all 24 stations built along the new line. Construction started in April 2014. The first test runs were completed in October this year. Xiamen is perhaps best known around the world as the host city for the 2017 BRICS summit.